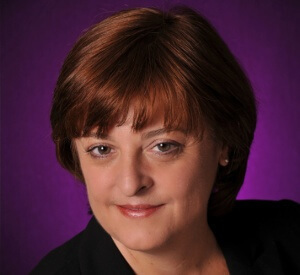 Liz Goar founded NPC Creative Services in 2005 with the goal of providing strategic public relations and content development services to the healthcare industry, with a specific focus on health IT for providers and payers. Today, NPC is a full-service boutique agency based in Tampa, Fla., with employees in Florida’s Panhandle and New England, that works with some of the industry’s leading international HIT vendor organizations, innovators and paradigm-shifting start-ups. Liz brings more than 25 years of experience in journalism and public relations to her agency. She launched her journalism career reporting for the Associated Press and her healthcare writing career as managing editor of Medical Business Gulf Coast Edition (now Florida Medical Business). Her public relations experience includes the American Board of Quality Assurance and Utilization Review Professionals and PCI-Tampa. She co-founded RFB Communications Group, where she helped build the healthcare and technology practice before striking out on her own with NPC Creative Services. A frequent contributor to leading industry trade publications, her freelance writing has appeared in Hospitals & Health Networks, Most Wired, CIO Update, For the Record, Pharmacy Times and Radiology Today. Liz was named one of the Top 40 under 40 by the Tampa Bay Business Journal and is a graduate of the 2002 Leadership Tampa class. She is an active member of HIMSS. Liz holds a Masters in Mass Communications from the University of South Florida and bachelor degrees in journalism and sociology from Drake University (Des Moines, Iowa). She is passionate about animal rescue, dedicating her time to Guardian Angel Dog Rescue as both a volunteer and foster.